Ed Bolen, CEO and President of NBAA joins us for a quick chat. The National Business Aviation Association is a huge organization which represents and serves business and corporate pilots, manufactures, regulators, and so much more. However, Ed himself is a pilot. Right at the beginning of the interview, he shares his favorite part of Oshkosh. It’s simple- a set of old and new military aircraft flying together (you’ll have to listen and find out). If you’re looking to become a corporate or business aviation aviator, NBAA will be an organization you’ll work closely with for a large portion of your career. Ed shares a lot of the reasons why aviators would want to choose this type of industry for their career. Big thanks to Ed for taking time to meet with us. I’m sure that many of his interviews can be quite intense and technical, so this one should have been quite easy. Thanks for all you do, Ed! Chris: Welcome to another special edition of AviatorCast, here celebrating National Aviation Day. We are calling these 8-point roll episodes because we’re releasing eight of them here in one day and if you guys don’t know what the 8-point roll is, just go look at Bob Hoover doing one on YouTube because Bob Hoover is pretty dang good at doing 8-point rolls. I think he can probably even do a 12-point roll or something crazy. That guy can do anything. So on this particular special edition episode, the last one that we have in these 8-point roll episodes, we have the president and CEA of NBAA Ed Bolan here joining us. Now, it’s really cool to see Ed because he looked like someone kind of just off the street. He had a nice polo shirt on of course, a hat, but he wasn’t in what would you assume to be a normal suit and tie. He was one of the aviators, he was there enjoying Oshkosh and you could tell that he was enjoying it. And so it’s cool to get an interview that is so influential in the industry but is also still greatly connected to aviation. So I hope you guys enjoy this short interview here with Ed. I don’t want to take up too much of his time because I think he was headed out of town right away, but here it is, here is a quick interview with Ed Bolan, president and CEO of the National Business Aviation Association, NBAA. Alright everybody, we are honored to have a special guest with us today. We have Ed Bolan from NBAA. 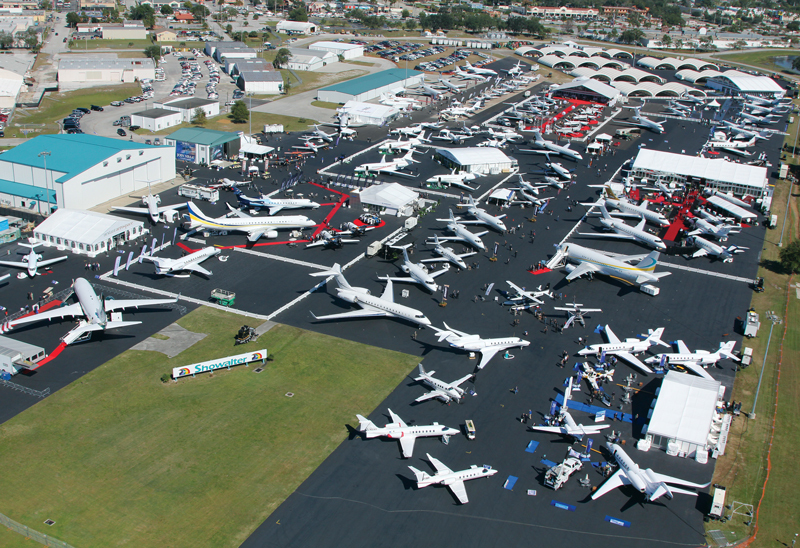 What’s your official title at NBAA Ed? Chris: Great. And how long have you been with NBAA? Ed: I will be celebrating my 11th anniversary in September, so a little over a decade. Chris: Great. And we’re at Oshkosh. How many Oshkoshes have you been at? Ed: This is number 20, so kind of an anniversary for me, but it’s 20 consecutive so I’ve seen a lot of evolution here and it’s really exciting. I think this year’s EAA really falls as one of the very best. The weather has been great but more importantly the crowds have been great. Lots of great technology on display, and it’s really always a place where you can sense real enthusiasm and passion for the industry. Chris: What’s your favorite thing so far that you’ve seen here just as a pilot that’s really stood out to you? Ed: Well, I tell you what, last night, it was about 6:30 at night so the sun was beginning to go down a little bit, and looked up, heard a roar overhead, looked up and saw a P-51 Mustang flying with a P-38 and an F-22 and they made a beautiful formation 3. Stunning airplanes that mean a lot in terms of our nation’s power, our freedom, and it’s things like that, there are stuff at Oshkosh where you set your schedule, you make a point of seeing this performer or that booth or this person but then there is always some kind of serendipity where luck steps in and something magnificent happens and for me, last night, that was it, just hearing a roar, looking up and seeing those three beautiful airplanes together. Really special. Chris: Fantastic. So let’s go back years I’m sure. Take us back to the beginning of your aviation passion. Where did your passion for aviation start, what was it like in the beginning. Ed: Well, a lot of people in aviation, they talk about being at airports, looking up, seeing an airplane, and that’s all they’ve ever wanted to do. I had an opportunity to be around the Salina Kansas Airport quite a bit. My father was on the board but I didn’t have an opportunity to learn to fly. I was involved in a lot of other pursuits, but what happened to me is I was really fortunate I had an opportunity to go to work on Capitol Hill for a senator from Kansas. Nancy Kassebaum was her name and she was very determined to pass legislation to revitalize the general aviation community. Back then, product liability lawsuits were killing the industry. Cessna had left making piston airplanes. This was in the mid-80s, we started 1986. By the time we ultimately passed the bill, it was 1994. But since then, Cessna went back in to production. Cirrus began building certified airplanes, Piper came out of bankruptcy. So it was a little three-page bill but it worked. And then from there, when I left Capitol Hill, I went to work for the General Aviation Manufacturers Association and I’ve been very involved in the industry really ever since. Chris: And where did your history with NBAA start? Ed: So, Gama and NBAA are very close associations. All the general aviation associations work pretty well and pretty closely together, but Gama and NBAA had a particular relationship because we had a public advocacy campaign called “No plane, no gain” which I’ve had the opportunity to be a part of both from Gama and now NBAA. So it’s a program where we try to articulate the benefits of business aviation, whether it’s the size of the industry, the economic development it generates, just positive stories about how individuals and companies use airplanes to make the world a better place. And so we’ve been at that for a long time but it was that partnership where I began to know NBAA intimately through that partnership and then the board of directors and so forth. And then in 2004, they were searching for a new president and they came to me, and it seemed like a natural fit. Chris: Great. So take us back to your work within the government, because it seems like you work with a few presidents, is that correct? Ed: Well I had an opportunity. I’ve had two presidents who have appointed me to different positions. President Clinton appointed me to the management advisory council of the FAA, kind of a board of directors, and that was kind of the initial set-up. Back then, it were nominated by the presidents and then confirmed by the senate and I had an opportunity to serve on that and actually chair that from 2000 to 2004. In the 2002-2003 timeframe, President George W. Bush created a commission for the future of the aerospace industry that included people like Buzz Aldrin, Neil Tyson who does a lot of Discovery Channel-type stuff. It was really an exciting group, but we kind of looked at some of the barriers to the US continuing to be the world leader in all aspects of aviation and make some recommendations. So I’ve serve on boards, I’ve served on commissions and then I worked for a senator on Capitol Hill. So pretty comprehensive government experience. Chris: And you mentioned that you were working on the future of aviation, keeping it vital in the United States. How are we doing with that? Ed: Well in some ways, it continues to be a situation where we are leading but there are challenges. We’ve got to continually find ways to get new technologies and new products into the marketplace. So I think we continue to work on trying to improve our certification process to kind of shorten the amount of time, not shorten the comprehensiveness of the review, but do it in a manner that recognizes the time to market is important and that new technologies give us the opportunity to take quantum steps forward in terms of safety. So continuing to push on that. We’ve looked at NextGen, the next generation air traffic control system, as a potential way for the US to continue to grow its aviation industry. So there were a number of recommendations that came from that, and we’re beginning to see in a lot of areas that it’s bearing fruit. But nothing worthwhile is just a one-time walk-away from it. It’s kind of a life is a continuous improvement process program and I think that’s what we are seeing here. It’s exciting to be here and see we’re having an opportunity today to talk from the Redbird booth and see how technology is coming into our industry and touching everything we do whether it is recording data from flights or creating simulation opportunities that just did not exist 10 years ago. I’m excited about the future of aviation and aerospace in the United States. Chris: And simulation like her at Redbird that helps a lot with the bottomline to get more pilots into aviation and lower one of those barriers which his cost. Now NBAA is known for, I think a lot of people associate, at least I do, NBAA with corporate jets and that sort of thing. Do you guys have, obviously you guys are advocates for the small business CEO that owns a Cirrus right and flies for himself. So tell us more kind of about that grassroots business industry. Ed: Well, NBAA does have a number of large companies that fly big iron, and a lot of those have big sophisticated flight departments. And that’s certainly a key part of our nation’s business aviation segment. But to your point, it goes much further down and it goes to anyone using any general aviation aircraft for a business purpose. That’s really what business aviation is. And we try to make sure people understand what some of the best practices are in terms of safety and just approaching issue. So we do for example a single pilot safety standdown. Every year it’s part of our convention where we’ll bring in speakers and have content about how you know what your minimums are, your personal minimums, things to do to kind of bring some of the best practices that they have within flight department but make that available on a scale that all pilots can use. I was kind of excited, here at Oshkosh, things kind of opened with a concert by Dierks Bentley who flies a Cirrus and he had an opportunity to talk about how he’s using his Cirrus Aircraft to get to concerts and home from concerts to be much more efficient with his time. Spend more time with family but still do more with his business, so that’s an example. Entertainment is very much a business and here’s an entertainment personality who is using the airplane to go more places in less time, and that’s what makes this so magical. Airplanes are incredible productivity tools that allow you to go more places in less time which is by definition, productivity. Chris: Right. And time is such a valuable commodity. Ed: Yeah, that’s the one thing no one can make more of it. Everybody starts the day with the exact same amount of time as everyone else including their competitors and the challenges, how do you use, what this fixed asset is, more efficiently than anyone else. Chris: So talk about a pilot that is just now getting into the industry. Maybe he or she is a millennial generation X. I think a lot of people look for the airlines. What are the advantages to going to corporate or to business aviation? Ed: Well I think the airlines are something that are known and they’re understood but they’re very regimented. Most planes fly into and out of about 30 airports. We’ve got a total of maybe 400 airports in the United States that have any commercial activity at all. So generally pilots who fly for the airlines have a pretty regimented routine. Business aviation serves 5000 airports in the United States so over 10 times the number of airports, and that’s just the US. So there’s an opportunity to go more places and see more things. I remember the first time I went to Chicago O’Hare, I thought, “Boy, this is really great, this is really exciting. Flashing lights, food courts,” but at some point, it just becomes another airport. Whereas with business aviation, you can find yourself in different cities, finding some hole in the wall place that has great tacos, barbecue or something like that. So that can make it fun. You also have, business aviation often times don’t have the latest technology on the planes, so you may really be flying with more advanced technologies, be going to more different and exciting places and it’s just a different way of life. To me, it offers a little bit more kind of new interest in lifetime growth that you may not get when you’re in a commercial airline experience. Chris: What are some of the most exciting technologies that we’re seeing today? Ed: Well, I think we’ve had several things that business aviation has kind of brought to the world, whether it’s winglets that have helped us reduce our environmental footprint, has been great. Certainly, we were kind of leaders in adopting GPS technology. We were kind of leaders on enhanced vision systems that allow you to see through. Today, I think some of the more exciting stuff revolves around ADS-B and how it will interface with the NextGen air traffic system, and then a lot of what we’re seeing here at Redbird. Some of the simulation and information technologies that are going to allow us to be more comprehensive in what we do to kind of the take away some of the paperwork aspects but improve the training aspects, and I think that has the potential to drive down the cost and improve the experience. Chris: What are some of the things that everyday pilots today, those pilots that are potentially looking to go to corporate aviation or business aviation, how can they get connected to what NBAA is doing. 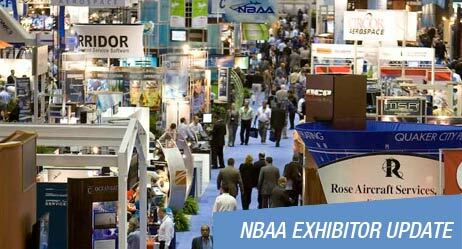 Ed: Well, NBAA has got a pretty robust website and we do conventions, conferences and regional forums all across the United States. 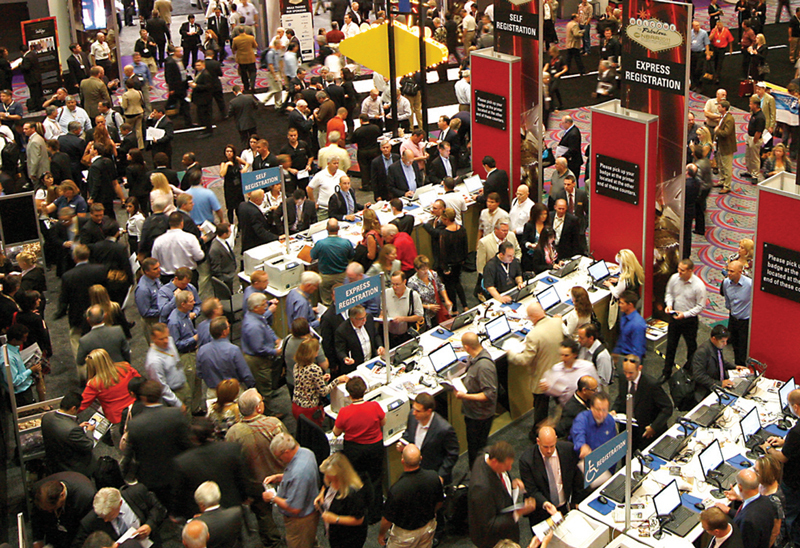 Our big convention will be in Las Vegas this year on November 17, 18 and 19. We’ll have 25,000 people will attend that. 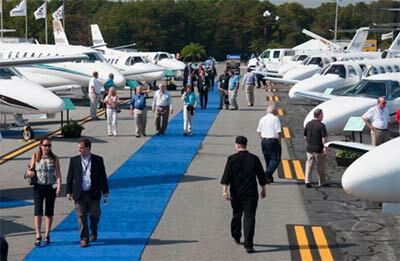 Some of the real leaders in business aviation will be on hand, a lot of companies will be there so that will be an opportunity for people to talk with people I the industry. We also do regional forums. We’ve got one coming up in St. Louis on September 17th, another opportunity for people to interface with the industry. So there are several things that we do throughout the course of the year that can be convenient, give someone an opportunity to be able to meet some of the people who are helping shape this industry. Chris: And it does seem like a good idea to get connected in a location like that where you can learn more about the industry before maybe you fully commit to that career path just as you would of anything else, due diligence. Ed: Yeah, and networking is just so important where whatever you are, whatever you’re in, you have an opportunity to build lifelong friends but you also have an opportunity to find mentors, to hear about opportunities. And so being active and engaged in any community I think is a good idea. Often you give a lot but you get back more and so I encourage people to get engaged in aviation, get engaged at the local airport level, get engaged with businesses in their immediate area. It’s just important, the more people you know, the more you’re likely to find someone who knows somebody who is looking for something. And being present is really important. Chris: Now speaking of simulation, what the help of the simulation industry? Ed: Well I think we’re seeing remarkable growth and we’ve had business aviation simulators for a long time. FlightSafety International, CAE are some of the companies that people know about but I think what Redbird is doing is very, very exciting because it brings it out of the corporate and individualizes it in a really important way. And you know, one of the thing that has been a challenge, a barrier to learning how to fly is someone tries to do it on weekends, they wait all week, they have their opportunity to fly, it’s raining, and flight instructor, something happens and they’ve lost a day. Simulator is a given opportunity in all weather and all conditions to kind of keep learning, keep becoming comfortable in the environment, and that can ultimately shorten the amount of time it takes to learn how to fly, it can also keep current pilots more proficient as they approach flying. Chris: Great. So, let’s go back to your flying. What do you fly right now? Ed: I fly a Piper Cherokee a little bit, fly a Cirrus from time to time. Just great airplanes that are fun to fly, and pretty exciting. Chris: And my question my wife likes to ask, who was your aviation mentor, people that stand out to you, that have inspired you in your career. Ed: Well I’ve had probably three people. One was the senator I worked for. She was representing Kansas, gave me an opportunity to work closely with Learjet, Beechcraft, Cessna, Boeing Wichita, Garmin. Kansas is a remarkably strong general aviation, all-aviation state, and working with her and handling aviation issues allowed me to interface with a lot of people who were the leaders in the community. I also had an opportunity to have as a friend and mentor Russ Meyer who for 35 years was the CEO of Cessna. A dynamic leader within the community. And also there was a long time president of GAMA, the General Aviation Manufacturers Association named Ed Stimpson who was a real mentor to me. He ultimately became the US ambassador to the International Council of Aviation, the ICAO in Montreal. Chris: Great. So what is your final advice for a pilot that’s maybe just starting, or maybe even an airline pilot that’s thinking of switching to a career in corporate aviation. What can you tell them about that industry and what encouragement can you give them? Ed: Well, I think it will be new. It will be diverse. It will present interesting challenges and at times require you to be outside of your comfort zone, but that’s where the reward is. The technologies are interesting, the places you go, the people you meet. It’s a different type of experience but one that I think is enormously rewarding and I think that’s why business aviation often attracts a lot of people but then retains it. We don’t lose a lot of people who come in and say “I’m interesting in doing something else. That wasn’t what I was expecting.” Most people come in and don’t want to do anything else. Chris: Right. Ed, thank you so much for joining us. We really appreciate it. Ed: Thank you. My pleasure. Chris: Alright, so a big thanks goes out to Ed for joining us on the his quick 8-point roll episode of AviatorCast celebrating National Aviation Day. Really appreciate him taking time out of his busy schedule to stop by and speak to us about his time as an aviator and how he sees the future of business aviation, corporate aviation, and also to give us some insights on the plusses of that industry. So really appreciate that. Really cool to see a guy like that still supporting the grassroots of aviation. He is someone that has heavily been an influence in the government. He was appointed by a couple presidents to oversee the future of aviation basically in some committees that he was on. So this guy has been very influential in the structure of what we’re seeing today in aviation especially here in the United States. So a big thanks to Ed for joining us on this episode of AviatorCast. Of course, we have now come to the end of our 8-point roll episodes. I hope you guys have enjoyed it. Happy National Aviation Day to you. I really hope that you were able to get out and go flying. If you couldn’t go flying for real, hopefully you loaded up your flight simulator and you had a go at even a virtual flight of some kind, but don’t delay guys. If you have this dream to go fly, get inspired, get up and go, make it happen even if it’s just for a few hours, and I encourage you to also continue to be a part of this community. If you guys ever need anything, write me, me@aviatorcast.com. If you enjoyed the show, please review it on iTunes or Stitcher or other locations. If you do so and I read it on the air, I will send you a very, very cool AviatorCast t-shirt. Again, thank you so much for being here and thanks so much to all of the people that joined us here on AviatorCast in these interviews, and I’ll just go through them again. So of course, the Apollo-13 guys, they weren’t there personally with me but a big thanks to them. Bob Hoover, what an awesome guy. Kim Furst, amazing, amazing film that she’s done. Make sure you guys go out and find a way to see Flying: The Feathered Edge. Request it at your local theatre, buy the movie. Also Brian Terwilliger, if you haven’t seen One Six Right, go see it and make sure you go see his new movie, Living in the Age of Airplanes. Totally awesome. Charles McGee, a Tuskegee Airman. What an amazing, amazing person. All those guys and what they went through and what they accomplished. Even if you just look on paper, not at their race at all, but just on what they accomplished as aviators in World War II, these guys were incredible, totally incredible. Craig Fuller, he does awesome work. He’s laid the ground for us these days with his work at AOPA as the president there. Of course, he’s still doing some great work with Redbird and some other things that he’s got his hands into. A fantastic guy there as well. 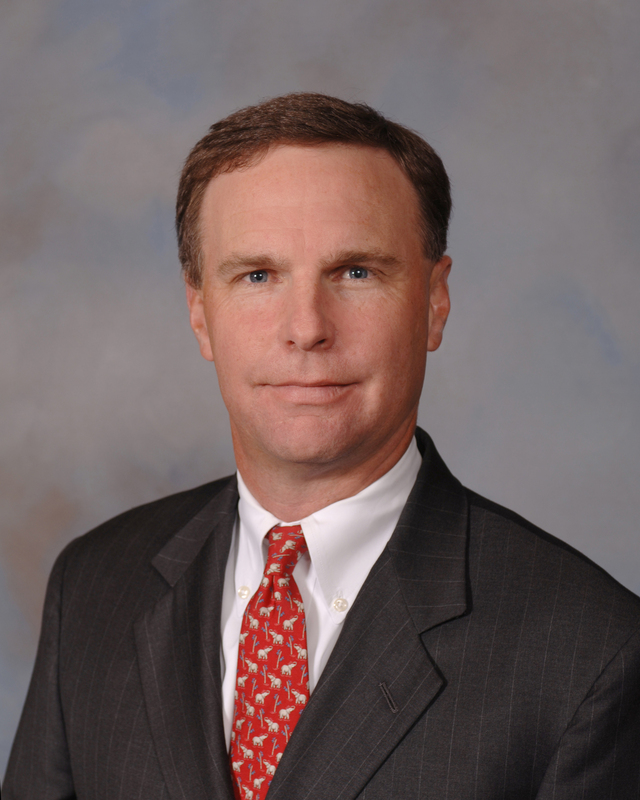 Of course, we enjoyed the P-51 in review episode and a big thanks goes out again to Ed Bolen for joining us. So I hope you guys enjoyed these quick 8-point roll episodes and I hope that you’re inspired by National Aviation Day. Go out there, chase your dream, let me know if there’s anything I can do to help. And until then, throttle on! The download-link leads to another episode. Been fixed for a while.